If I think of a Swiss Army Knife a remember my time at the army (an obligation in Switzerland).. not good this is. But hey, it is at the same time a solid Swiss product and can be very practical if you think of MacGyver. 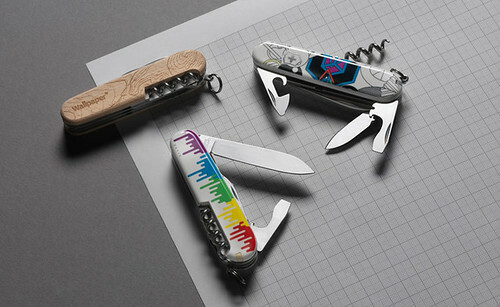 Further, Wallpaper* now shows in a cooperation with the designers James Joyce and Jamie Cullen, that a Swiss Army Knife can even look quite fancy. Run to the Victorinox store at Bond Street in London and buy one (£70)!